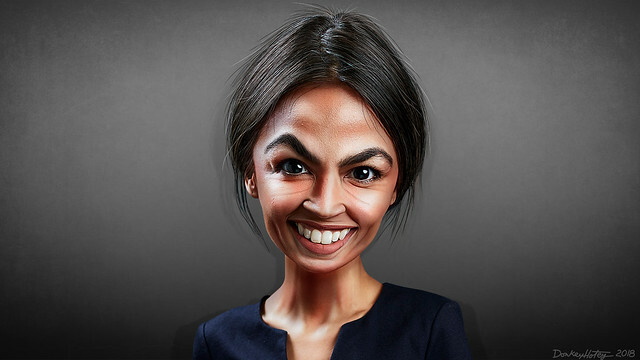 There's something about Alexandria Ocasio-Cortez that terrifies right-wing media like the Washington Examiner's Eddie Scarry. Is it her politics, her gender, or...her suit? You know what we never see? We never see media shaming men for showing up to work in Washington, D.C. in their new suits and fresh faces during orientation for new Representatives in the House. We literally never see that. Occasionally we hear stories of how hard it is for Congressmen to exist between the nation's capital and their home cities, that maintaining two residences is tough, that D.C. is so expensive that they sleep in their offices instead of renting somewhere to lay their weary heads. We heard Sean Duffy complain that it was really hard to maintain his lifestyle in D.C. when he had all those kids at home, which is apparently why his lovely spouse had to go to work at Fox News. $175,000 a year or so wasn't enough, apparently, for him. My reaction was a WTF, you're an idiot kind of reaction. But Twitter did a far better job than I did. 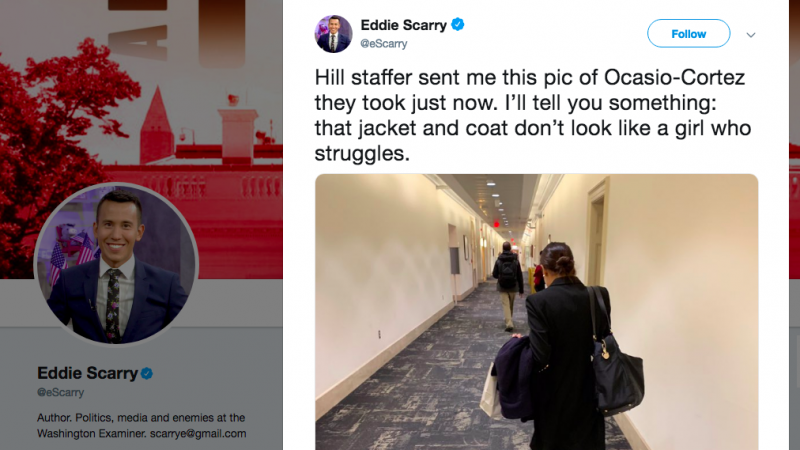 Yes, the nerve of a Congresswoman for buying a *checks notes* jacket and suit for work. Turnabout is always fair play, I say. And if she came in in sweats you would call her unprofessional. Dont get mad my friend knows how to look awesome on a budget. Maybe you should ask her for some tips. You've really cracked this case wide open. Can't wait to hear about your new job at Surefire Intelligence. Thank you so much for this insightful sartorial riff on that timeless classic, "If They Didn't Buy Those iPhones, They'd Have Healthcare." What is your expert view on the impact avocado toast consumption has on home ownership? First they shamed her for NOT having money - not being able to afford a DC apt. Now they shame her for daring to buy a nice suit to wear to work & suggest she's secretly rich. ...the stronger she -- AND her message -- get.